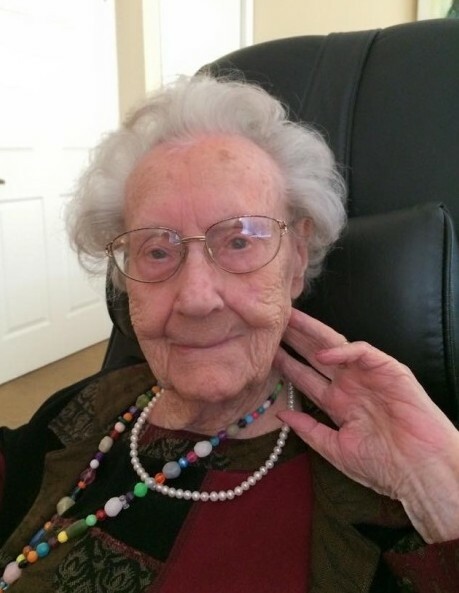 Helen Lowell Adams, formerly of Hinsdale, Illinois, 107 years of age, passed away November 5, 2018 at the Gardens of Scottsdale, Scottsdale, Arizona. A memorial service will be held in the chapel of the Valley Presbyterian Church, 6947 East McDonald Drive, Paradise Valley, Arizona at a later date. Helen was born February 24, 1911 in Boonville, Indiana, the daughter of Clyde and Lola Lowell. She married Charles A. Adams on April 5, 1941. Mr. and Mrs. Adams moved to Scottsdale in 1974. Charles died in 1998. She is survived by her two sons, Charles Adams (Linda) of Mattoon, Illinois and David Adams of San Juan Capistrano, California; a grandson Craig Howell Adams (Anne Myong) of Woodside, California and a granddaughter Holly Adams Bailey (Paul) of Mattoon, Illinois. She leaves behind four great-grandchildren, Olivia and Zoe Adams, and Travis and Amanda Bailey. A brother Emmett Lowell and a sister Freda Lukemeyer Baum preceded her in death. Always the consummate sports fan she played on her championship high school basketball team In Indiana during 1929 and had a hole in one at The Phoenician Golf Club at the age of 74. In lieu of flowers memorial contributions may be made to the Memorial Gardens of the Valley Presbyterian Church.